Feeling a little green with envy? 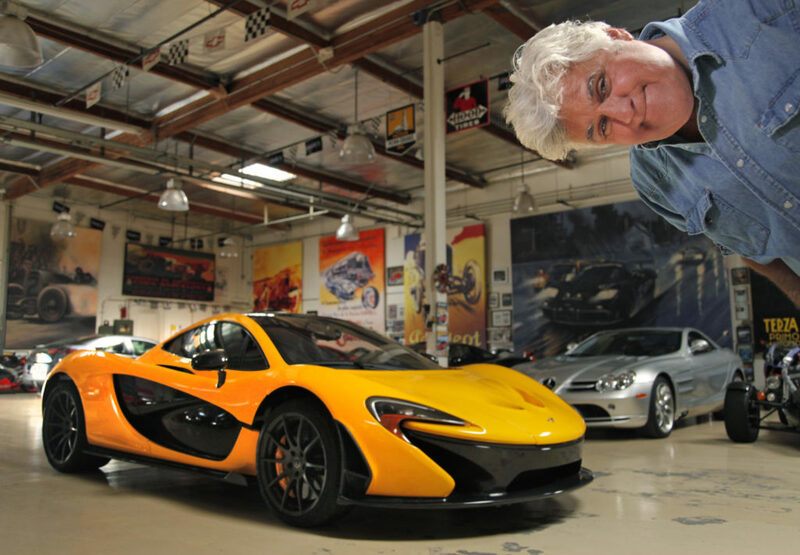 Jay Leno is a legit car enthusiast – those car lovers who don’t know him from The Tonight Show may recognize his regular contributions to Popular Mechanics. Or maybe you’ve seen this celebrity mechanic’s show Jay Leno’s Garage. Some will recognize this name as the head mechanic at Jay Leno’s Big Dog Garage. A job that has made him a true celebrity mechanic. If you do recognize him, you may not know that Bernard Juchli is also one of the best amateur Formula One drivers in the United States. Last year, he was the champion in the CPL Systems National Historic Cup Roadrace. He has a long history of racing, mostly amateur, but with some professional experience too. If you haven’t already heard it, there was a great story involving these two celebrity mechanics last November. A group of veterans were travelling back from a Veteran’s Day event when they saw a fellow biker stranded by the side of the road. It turns out that the stranded biker was non-other than Bruce Springsteen. But, here’s the kicker. That broken down motorcycle had been built by his friend and celebrity mechanic Billy Joel. Joel built the bike for Springsteen “at the 20th Century Cycles shop in Oyster Bay, a town in Long Island”. This celebrity mechanic made himself famous with his show Monster Garage on Discovery Channel and Jesse James is a Dead Man on Spike TV. He also had a high-profile divorce from Sandra Bullock about five years ago. In happier new,s he’s now been married to professional drag racer Alexis DeJoria for several years. DeJoria tells US Magazine about James’ mutual love of cars and how that has been a solid foundation for their relationship. DeJoria says that her celebrity mechanic husband likes to work alongside her pit crew, and that he’s never missed one of her races. Not only did their passion for cars bring them together, it also helps this celebrity couple stay grounded as they support each other’s careers. At Master Mechanic, we love to hear about cars. Whether, you’re an avid car enthusiast or just up on your celebrity gossip, share your stories with us!